Property 1: Spacious condo w/ balcony, partial lake views & shared pool - near beach/marina! Property 2: The North Georgia Mountains Are Calling You!! Property 5: Secluded Chattahoochee Apartment w/Stunning Views! Property 7: "BREATHLESS" - Lovely one bdrm. Chattahoochee Riverfront. Easy walk to Helen. Property 11: Mountain Experience with town convenience! Waterfront Rental! Free docking! Bring your boat! Property 13: Waterfront Rental! Free docking! Bring your boat! Enjoy Lakeside Living At Its Best On Lake Chatuge! Property 18: Enjoy Lakeside Living At Its Best On Lake Chatuge! Riverfront, with private deck, pet friendly - in the heart of Helen! Property 20: Riverfront, with private deck, pet friendly - in the heart of Helen! 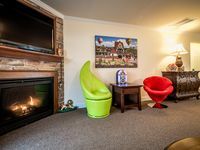 Property 22: Enjoy The Hot Tub, Fireplace, And Walk To Town For All Your Entertainment. DOWNTOWN convenience! Walking distance to everything ! Property 33: DOWNTOWN convenience! Walking distance to everything ! Property 34: Birdsong Villa Unit # 4 Have fun on Lake Chatugue! 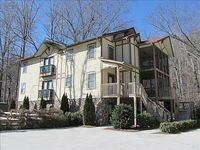 "River Retreat " walking distance to downtown. Property 39: "River Retreat " walking distance to downtown. We stayed at this condo and it was absolutely beautiful. The location was great there were plenty of amenities, the condo was very spacious and clean. Thank you for a great stay we will definitely be returning. The condo was beautiful and roomy. The location next to the river and it&rsquo;s proximity to everything was perfect! Will definitely stay here again!